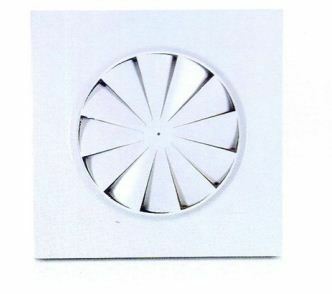 Swirll Diffusers Swirl diffusers offer efficient alternative to conventional ceiling diffusers as they produce aerodynamically controlled air pattern, promote high induction and provide rotation to room air, which increases mixing effectiveness. The perfect compliment for any interior, where every smallest detail is executed with care and where nothing is settled for less is MAPRO” - range of products. Meet your quest for perfection at every level through Crafted Extruded Aluminum available in a range of finishes. Being the best is always motivating and being in the good books of architects, consultants, contractors and builders is the reason we always try to raise the bar of high standards. In line with the similar zeal, we can proudly say that we are UI Listed, AMCA Certified & Fire Rated Axial Fan and Jet Fans from world-best standardized organization. This is’the way, we truly stand the acknowledgement of most powerful characteristic as a company. Through continuously improving upon our line of products, unp aralleled set of skills, technology and range; we are poised to achieve more landmarks globally in future.